The Easter break is just around the corner and we have activity availability, plus family rooms in Lowick School Bunkhouse for those looking for a great family getaway. 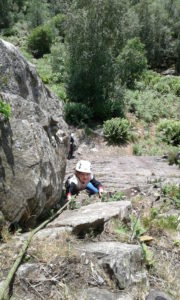 Monday 1st April – full activity availability. Tuesday 2nd – full activity availability. Wednesday 3rd – AM activity availability only. Thursday 4th – PM activity availability. Sunday 7th – full activity availability. Thursday 11th – full activity availability. Friday 12th – full activity availability. Monday 15th – full activity availability. Wednesday 17th – full activity availability. These prices include breathable waterproofs or wetsuits as required, instruction, a complimentary hot drink during each session and use of all technical equipment, except bikes. Bike hire (for biking sessions only), if required, is extra @£20 per bike payable direct to the supplier. Prices do not include any transport or food. 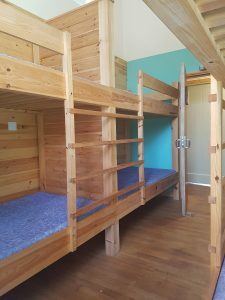 If you fancy making a mini-break full of memories, you can also book a family room in Lowick School Bunkhouse alongside your activities from just £50 per night! Lowick School Bunkhouse is set in the beautiful rural setting of Lowick which is only 9 miles from Coniston and 6 miles from Ulverston. 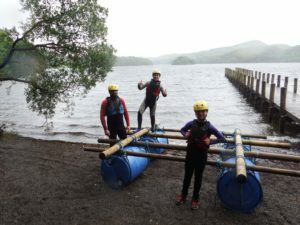 The bunkhouse has 20 beds in 3 rooms (2 x 8 + 1 x 4), and is just on the edge of the Lake District National Park with fabulous views of the Coniston Mountains. 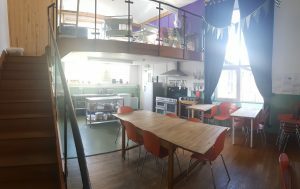 It is self-catering with a kitchen-dining room and a separate lounge complete with a projector screen for DVD’s, table football and a wood-burning stove. 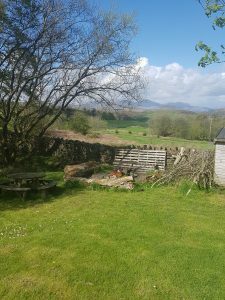 Outside there is a campfire area with stunning fell views and walks you can do from the doorstep. There are also two lovely pubs, each serving good food, within 1m walking distance. 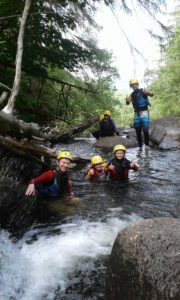 There is no better way to have fun this Easter break as a family or group – a fantastic shared experience that will give memories of the Lake District that last for generations. 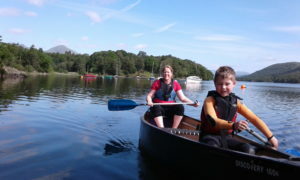 If you aren’t planning an Easter visit, but think we could be what your 2019 summer holiday plans need, take a look at our Lake District Family Activity Holiday blog for some great ideas.